In the future, with the help of nanomaterials, sunlight can be used more efficiently to stimulate chemical reactions such as artificial photosynthesis. This is the inference provided by a research recently reported. The research was headed by scientists from the Department of Physics at Imperial College London, and can eventually help to enhance solar energy technologies and can also be used for innovative applications such as the usage of sunlight for disintegrating dangerous chemicals. Sunlight has the ability to stimulate various chemical processes that do not happen otherwise. For instance, water and carbon dioxide do not react normally; however, during photosynthesis, plants use sunlight to convert these two chemicals into sugar and oxygen. This reaction has higher efficiency, most of sunlight’s energy gets transferred to the chemical reaction. However, until now, researchers have not been successful in mimicking the process in human-made artificial devices. One of the main reasons is that various molecules that have the ability to undergo chemical reactions induced by light cannot absorb the light on their own in an efficient manner. For this, they are dependent on photocatalysts; materials that can efficiently absorb light and can then transfer the light’s energy to the molecules to induce reactions. Researchers working on the new study used nanoparticles to analyze an artificial photocatalyst material and discovered the way to make it more efficient. The discovery can pave the way for more efficient solar panels because the energy from Sun can be harvested in a more efficient way. The photocatalyst can be also used to disintegrate gaseous or liquid pollutants, such as pesticides in water, by tapping sunlight to stimulate reactions that can disintegrate these chemicals into lesser harmful ones. This finding opens new opportunities for increasing the efficiency of using and storing sunlight in various technologies. By using these materials we can revolutionize our current capabilities for storing and using sunlight with important implications in energy conversion, as well as new uses such as destroying pollutant molecules or gases and water cleaning, among others. The material analyzed by the researchers comprises of metal nanoparticles - particles with a diameter of only one-billionths of a meter. The outcomes of the study have been recently reported in the Nature Communications journal. The research group, made up of researchers from the Chemistry Department at University of Duisburg-Essen in Germany headed by Professor Sebastian Schlücker and theoreticians from the Rensselaer Polytechnic Institute and Harvard University at the US, demonstrated that light-induced chemical reactions take place at specific locations on the surface of the nanomaterials. 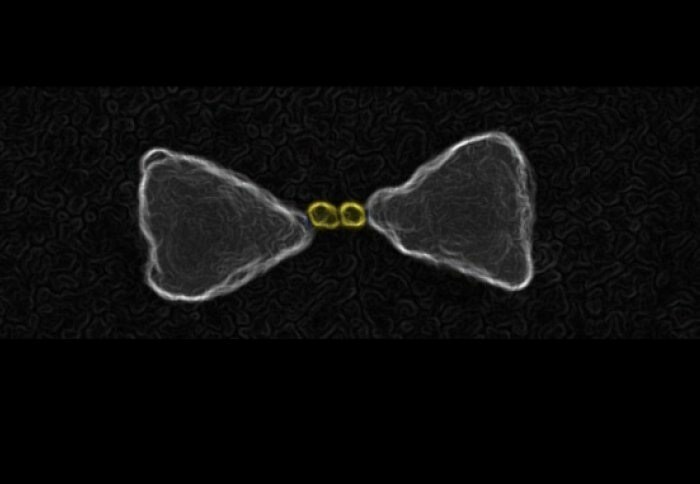 The researchers tracked the regions of very small gold nanoparticles, used as markers, over the silver nanocatalytic material’s surface and identified the regions that are most appropriate for transferring energy to chemical reactions. As the researchers now have a better understanding of the regions responsible for harvesting light and transferring it to chemical reactions, they are convinced that they can engineer the nanomaterial to increase such regions, thereby rendering it highly efficient. This is a powerful demonstration of how metallic nanostructures, which we have investigated in my group at Imperial for the last ten years, continue to surprise us in their abilities to control light on the nanoscale. The new finding uncovered by Dr Cortés and his collaborators in Germany and the US opens up new possibilities for this field in the areas photocatalysis and nanochemistry.